MIAMI, FLORIDA, UNITED STATES, October 31, 2018 /EINPresswire.com/ -- The books are definitely coming to downtown Miami as the nation’s finest literary festival, the Miami Book Fair International holds its annual celebration. This eight-day literary party will commence on November 11 with over a hundred-thousand readers and writers in attendance. Distinguished authors from the United States and other parts of the globe, as well as book lovers, will be gracing the Fair and its many activities. AuthorCentrix celebrates its second year as one of the exhibitors at the Fair. The company will be gracing the event with Gary Horowitz, a professional musician whose talents include playing the guitar and piano, as well as singing. This year at the Fair, he brings to the a literary piece that accounts the truth of the Sterling Hall Bombing during the 1970’s. A chance for one-to-one Author Interview and Book Signing with Horowitz await everyone! Every person is made by history and one tells a story in order to live. Author Gary A. Horowitz shares a compelling event at the University of Wisconsin. The author takes the readers back to the 70’s when The Sterling Hall Bombing occurred at the Madison Campus on the 24th of August. 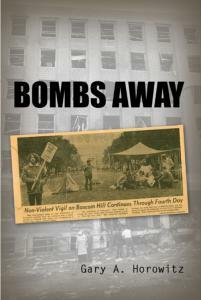 Bombs Away reveals that four young people committed the horrific incident as a protest against the university’s research connections with the United States Military during the Vietnam War. It was intended to destroy the Army Mathematics Research Center (AMRC), which resulted in the death on one, injury of three others, and significant destruction to the physics department and its equipment.